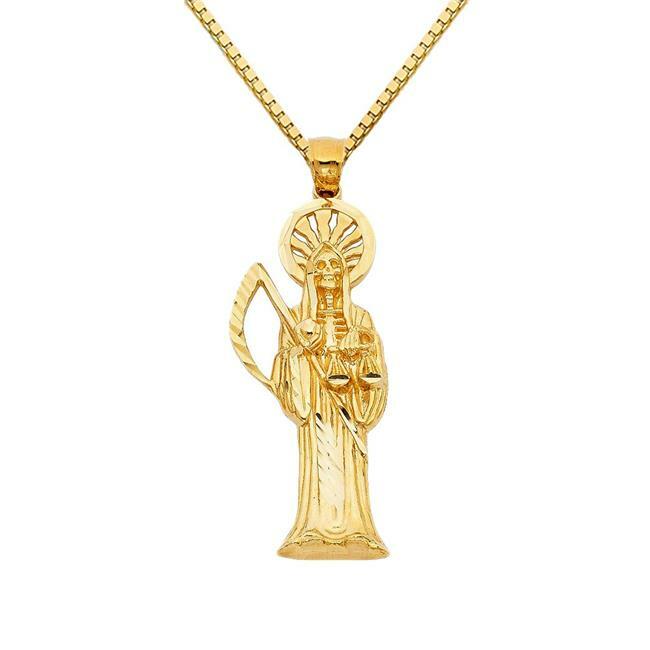 Crafted of 14-karat gold, the Santa Muerte polished finish pendant necklace is an admired skeletal figure representing sacred death. This fine piece of religious jewelry measures approximately 1.77 inches long and is a strong statement of faith. This lightweight pendant has hollow back for comfortable everyday wear. The pendant is completed with a matching 14k yellow gold 1-mm box chain in 16 inches length.